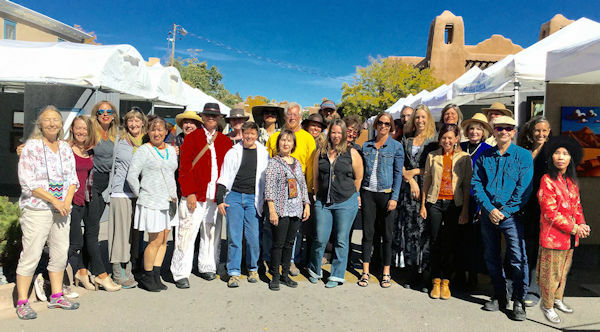 Our downtown Santa Fe Art Shows run every weekend from the end of April through mid-October, with just a few exceptions. SEE THE SCHEDULE & LIST OF ARTISTS BELOW TO PLAN YOUR VISIT! You’ll find us at 122 W Palace Avenue, just west of the historic Santa Fe Plaza. 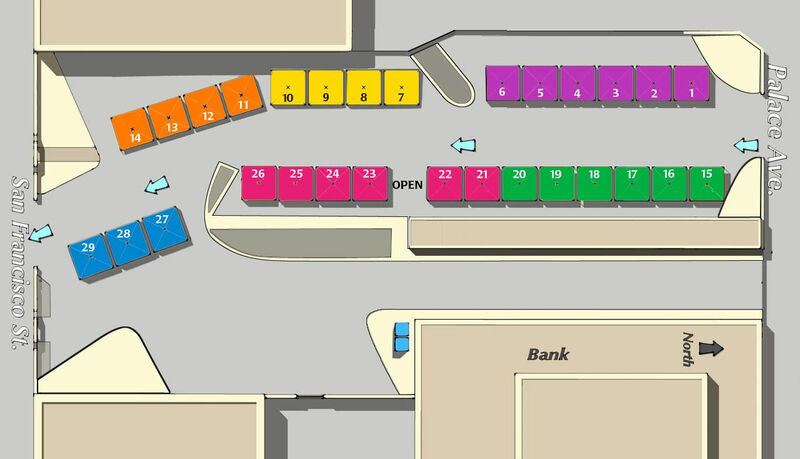 From the plaza, follow either San Francisco Street or Palace Avenue to the west with the sun on your left shoulder to find our white gallery tents!